Every year the San Francisco Salsa Congress brings some of the world's best salsa dancers and instructors to the Bay Area, and 2011 is no different. Click on a profile below to find out more about this year's instructors and watch videos of their past performances. Abel and Zulmara are some of the top ranked On1 salsa dancers in the world. They are 3-Time winners of the World Salsa Championships, as well as other competitions around the world, including the Mayan in LA. They are known for their energetic style, fast spins, and excellent technique. Alex Salsita and Ivonne Pulido are champions in the Colombian salsa style. Their group Esfera Latina is a well established and respected organization that has continually placed in the top echelons of competitive dance for over six years. They are known for extremely fast and precise footwork, jaw-dropping tricks and intricate formation changes. Alien Ramirez hails from Cuba and has been a dancer her entire life. She has an incredibly diverse background and has received classical training in jazz, ballet, contemporary, Afro-Cuban, modern, gymnastics and flamenco. Corey Raynor and Mireille Ruiz really made a name for themselves at the first ever San Francisco International Bachata Festival, where they wowed the crowed with a fun, playful and energetic bachata routine. The performance catapulted them to instant popularity, and they have since performed their unique take on the dance at a number of festivals. Dave Paris and Zoe Klein are international dance super stars, and have been featured in a number of television shows and dance festivals. No strangers to the big stage, their performance credits include a semi-final placement in America’s Got Talent, as well as showpieces in So You Think You Can Dance, the Maury Pauvitch Show, Telemundo and Eurosport. David Zepeda and Paulina Posadas are couple from Mexico that have taken the competitive salsa world by storm. They hold over a dozen titles from salsa competitions all over the world, including the Toronto Salsa Congress, Puerto Rico Salsa Open, World Latin Cup, and San Francisco Salsa Congress. Eric Caty and Kelly Lannan are professional salsa dancers from Montreal, Canada. They are the owners of Alberta Dancesport, one of Canada’s top dance studios, as well as the directors of the Salsa Rica salsa team. Francisco Vazquez is one of the famed Vazquez brothers, who are credited with developing and popularizing the LA on1 style of salsa dancing. Francisco is also one of the original founders of the much loved Los Rumberos dance company. 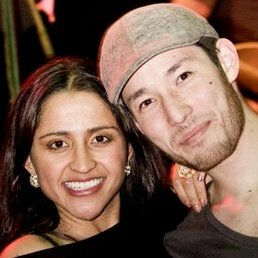 Gabriel Romero and Victoria Ruskovoloshina are the directors of San Francisco based Mambo Romero dance company. The pair are known as exemplars of the New York on2 style and are credited with bringing mambo to the San Francisco bay. Their routines continue to innovate year after year, featuring unmatched musicality and feverishly detailed choreography. 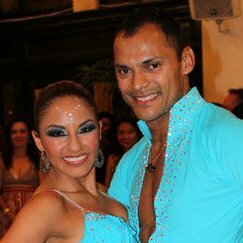 Isidro Corona and Ariel Lehaitre have been dancing together since 2009 and in that time have taken a number of major titles. They are the 2010 US Salsa Open Champions, 2010 Portland Salsa Congress Champions and 2nd place winners at the 2010 SF Salsa Congress. Together they are also directors of San Jose’s Montuno Dance Company. 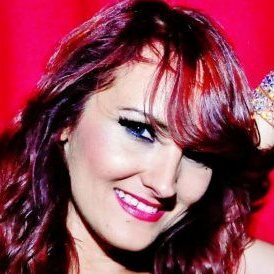 Jennifer Silvas is one of the top female salsa dancers in the world and has been performing salsa at the highest levels for over 10 years. In that time she has danced with some of the top names in salsa including the Vazquez brothers. Jennifer is an expert in hip hop and latin dance, as well as classical forms. Jhon and Johanna are Colombian salsa dancers who exemplify the Cali style. Their blindingly fast footwork and precise style of performance is beloved by crowds everywhere. They have competed many times against the best in the world, with multiple top finishes in the World Salsa Championships. 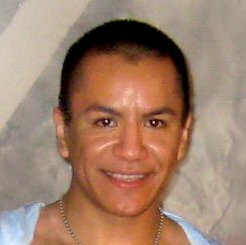 Joe Zumba has been teaching Zumba classes and workshops on both coasts for over seven years. His classes are routinely packed, with regular attendance averaging around 80 dancers. His energetic and fun style has made him a popular choice and his infectious positive energy truly pushes Joe to standout status. John Narvaez and Liz Rojas are the directors of the award winning Salsamania Dance Co, which has been a staple in the SF Bay Area for over a decade. They are known for crisp clean technique, playful routines, and precise foot placement. Together they have been multiple time finalists at the World Salsa Championships both as a couple and with their team…. 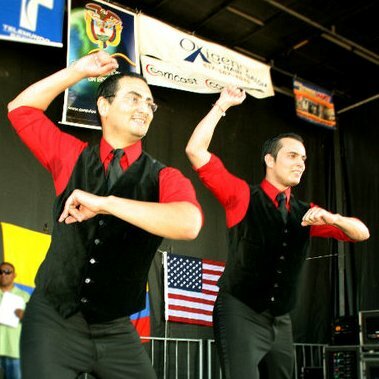 Johnny and Andres Giraldo are two brothers who started Boston’s popular Salsa y Control Dance Co. (named for the Lebron Brothers song of the same name) in 1999. They are famous for performing creative duets featuring intricate footwork, innovative use of classic salsa shines, and expressive musicality. 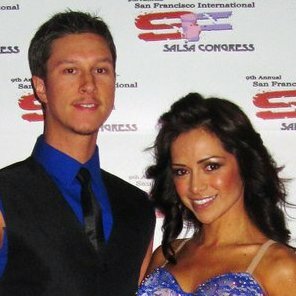 Jonathan and Elly are world class salsa competitors and performers based out of San Diego. Elly is originally from the San Francisco Bay Area, where she was a member of the PB&G Pro Team, before she joined the World Championship winning Alma Latina dance company in San Diego, where she met Jonathan. 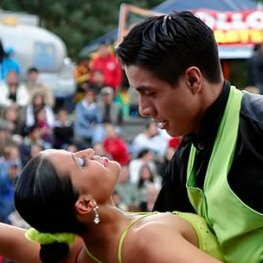 Luis Aguilar and Anya Katsevman are the reigning World Salsa Champions in the on2 division for the second year in a row. Together the pair has amassed numerous other 1st place finishes and are some of the most sought after performers and instructors in the world. They are known for creative technical dancing, precise timing, and expansive movement. Marco Ferrigno and Natalia Lopez are professional dancers from Milan, Italy. Marco Ferrigno began dancing at a young age, and received training from world-renown Eddie Torres, before opening his own dance school in Milan. Natalia Lopez was a longtime dancer for Alma Latina Dance Company in San Diego, before joining Marco in Italy. Mike Bello (aka the “Mambo Fello”) is an experienced musician and dancer who helped introduced mambo style dancing to Los Angeles, with the formation of the Mambo Men and the Mambo Squad, two of the earliest mambo dance teams in LA. Nicolas Cruz and Caterine Estrada began dancing together in Bogota, Colombia, considered one of the preeminent salsa capitals in the world. They were both principal dancers as part of the prestigious Escuela de formación Artística Nueva Generación de Mambo Y Chachacha, one of Colombia’s top dance companies. They are both classically trained and technically proficient dancers. Ricardo and Tianne are world renown salsa dancers and instructors from the San Francisco Bay Area. They have performed and competed around the world, and are two-time finalists at the World Salsa Championships. 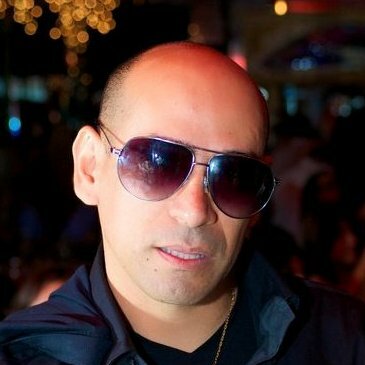 Ricardo Tellez has been teaching salsa for over 13 years, and is the creator of the On5 style of dancing, which he has taught around the country…. Rodney Aquino, aka “Rodchata” is one of the top bachata instructors and promoters in the US. He is the organizer of the Reno Bachata Convention and SF Bachata Festival, and co-organizes half-a-dozen other major bachata events throughout the year. Rogelio Moreno is an actor, choreographer, and dancer originally from Los Angeles. He has studied a broad repetorie of dances, including salsa, cha-cha, merengue, mambo, bolero, quebradita and punta. He has appeared in numerous TV shows including “NYPD Blue” and “Buenos Dias”, and his choreography has been featured in several Hollywood films. Tito and Tamara are internationally known salsa dancers from Puerto Rico who have performed in over 75 cities around the world. Both Tito and Tamara began dancing at a young age, and have over 20 years of salsa dancing experience. They are also skilled at other dance forms such as jazz, ballet, hip hop and more. Zeke Ruvalcaba & Kathy Reyes are top level bachata dancers who are known for their passionate and tender bachata performances. Zeke is the founder of Bachata All-Stars, the first Bachata dance team in the Mid-West, and Kathy is an experienced performer with over 5 years of dance experience.